This breathable office chair features ergonomic support for maximum comfort. Comfort is very important when it comes to office chairs, especially if you work long hours. Being comfortable in your office chair increases productivity. The cushion on this chair is padded and the chair is adjustable. You can adjust the height, the tilt, and the armrests easily to suit your needs. The sturdy base is reliable and the chair can support a weight of up to 331 lbs. 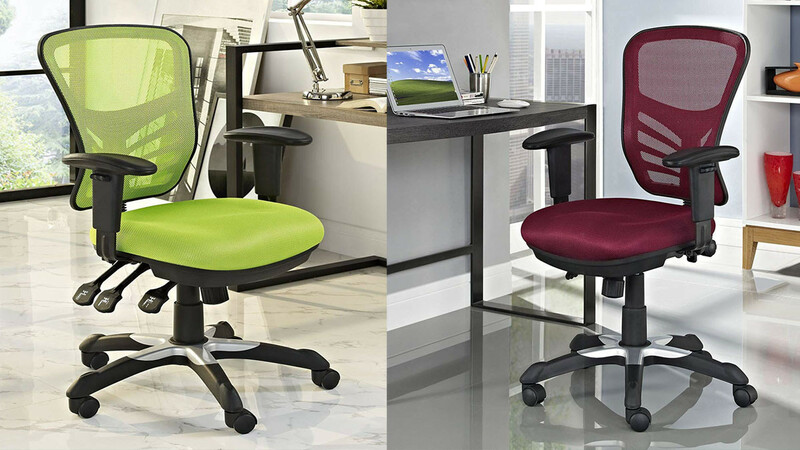 This chair goes with any office decor because it is available in seven different colors. You can use this chair every day because you will be comfortable and supported.